After last week's Nikon Coolpix A price drop, the deal got even sweeter today - the DF-CP1 optical viewfinder ($396.95 value) is now included for free - see the listings at B&H. This is basically half price of what the camera and viewfinder costed two weeks ago. 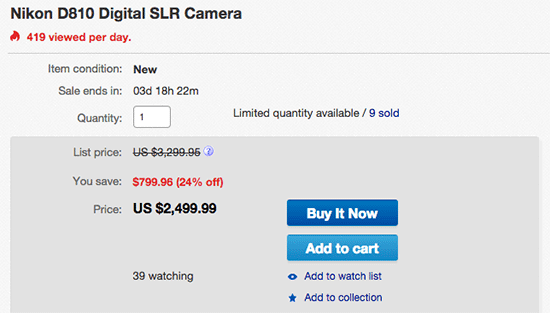 Grey market Coolpix A cameras are now down to $449 on eBay, the refurbished price is $599.95. 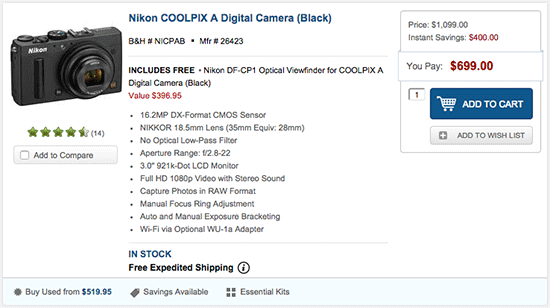 This entry was posted in Deals, Nikon Point and Shoot and tagged Nikon Coolpix A. Bookmark the permalink. Trackbacks are closed, but you can post a comment.